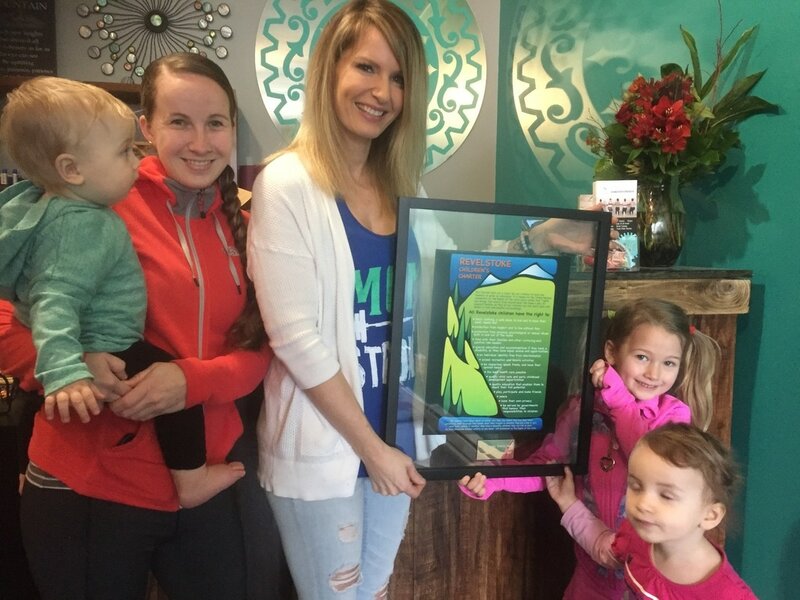 We are proud to celebrate Revelstoke's Family Friendly Businesses and Family Friendly Workplaces! 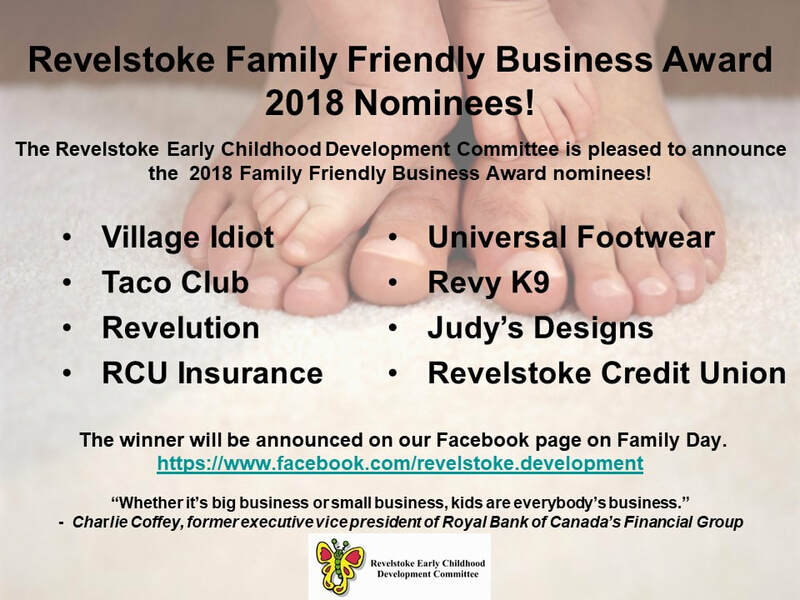 Each year, the Revelstoke Early Childhood Development Committee acknowledges efforts to create businesses and workplaces that are supportive to families. 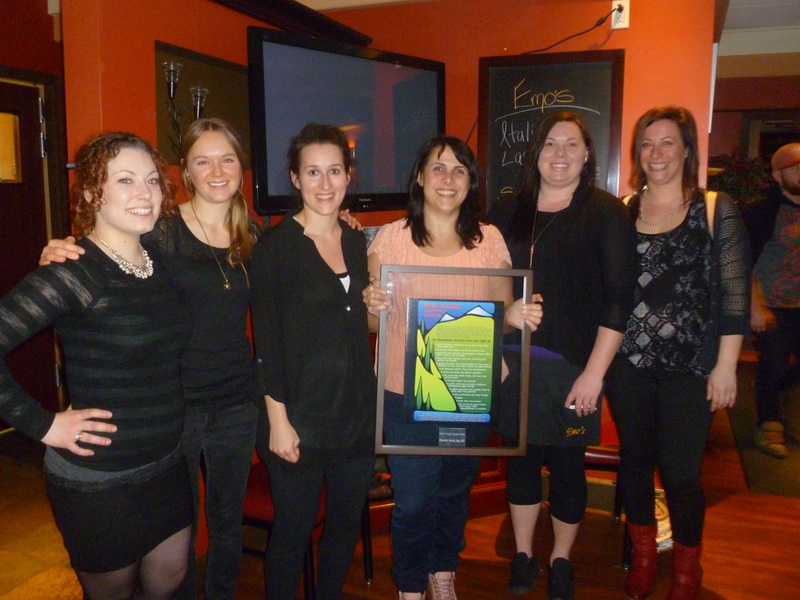 Nominations are received from families and the annual award is announced on B.C. 's Family Day. 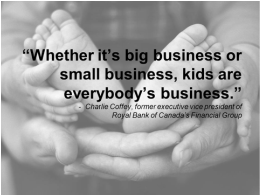 What does it take to have a family friendly business or provide a family friendly workplace? We ask local families what makes a difference for them. Items a family may consider in selecting a family friendly business might include the environment, layout and amenities, public washroom with a change table (in Mom’s AND Dad’s washroom), space to rest or breastfeed, play area with books or clean quiet toys, and access for strollers. A family friendly workplace is one where employees feel supported in meeting both their work and family commitments. A family friendly workplace may have policies that enable workers to balance their responsibilities, may offer flexible schedules, parental leave or resources and support. A family friendly employer understands the impact family responsibilities have on their employees. 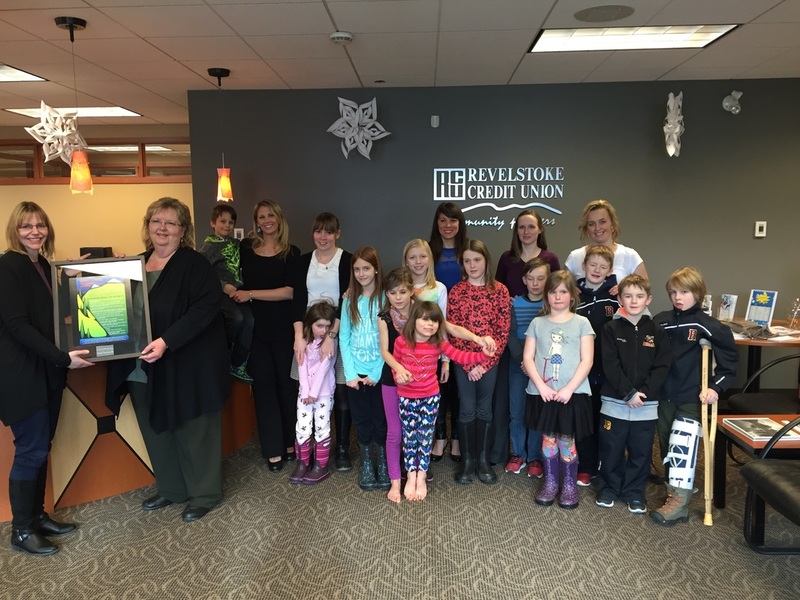 Nominations for Revelution highlighted the family oriented focus of the business as well as the opportunity for child minding with enthusiastic staff by donation. 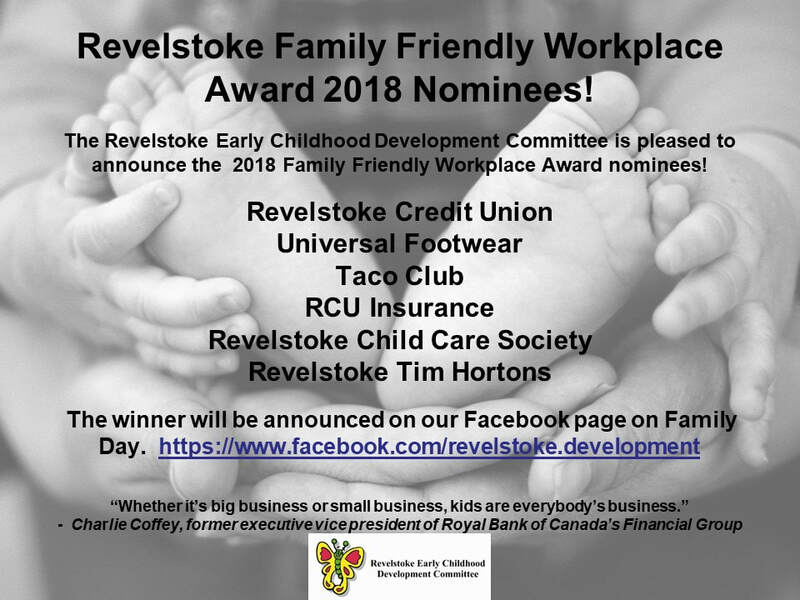 Nominations for Community Connections highlighted flexible work schedules, child sick leave, matching child care scheduling and a child friendly workplace.